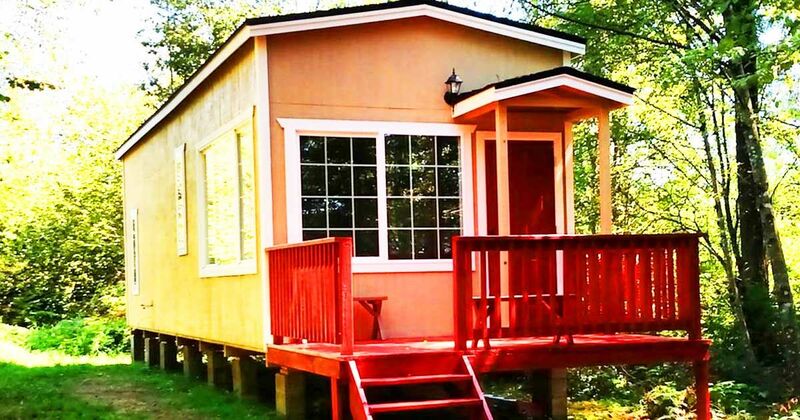 Cabins in the woods are usually reserved for scary movies, but this woodland park model is anything but frightening. Meet a brand-new park model cottage in Redding, California, one that comes with one of the most unique interiors you've ever seen. This park model isn't just easy on the eyes – it's also highly customizable. The company selling it is willing to tweak the unit any which way you please, but we think it's just perfect the way it is. Let's have a look inside and see why it's so amazing. Since California is nice and sunny, this park model also uses solar energy. Large windows in the living room let in plenty of sun rays. 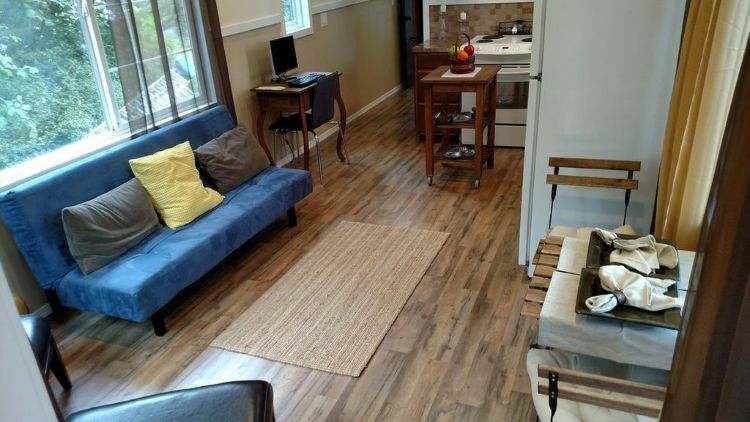 The dining table looks as if it has been custom-built with planks, which is pretty cool, and the laminate flooring looks just like real hardwood. Is there a single soul who doesn't love granite counter tops? 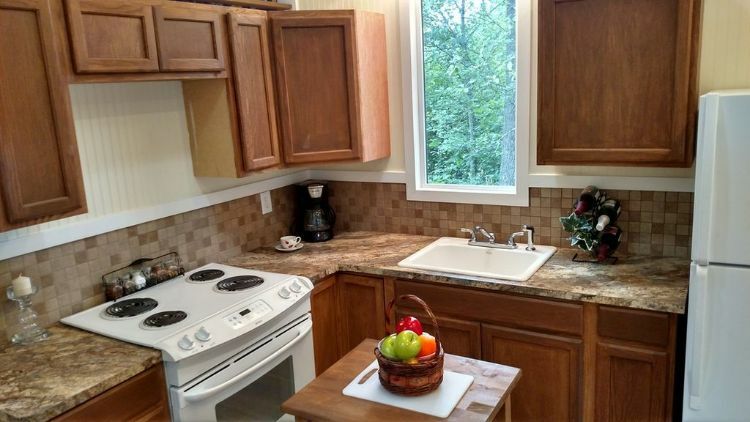 It's hard to imagine someone walking into this park model's kitchen and saying they don't, so we'll just state right here and now that we LOVE them. The kitchen also features a movable kitchen island and small work area. Just look at how neat and tidy the bathroom is. 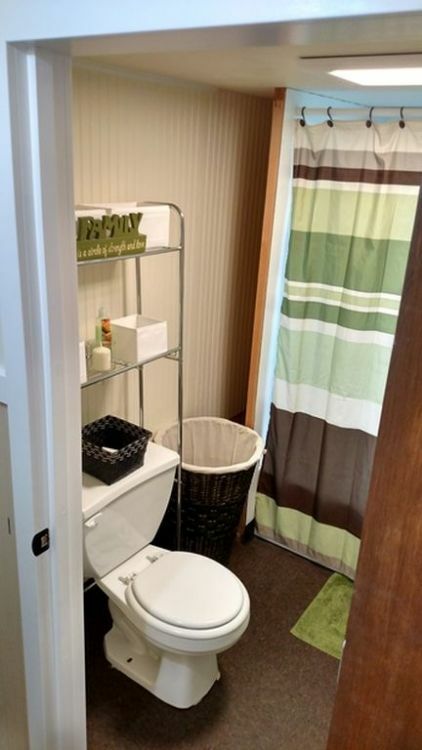 It's got a lovely spark of color from the shower curtain and accent rug. Tea for two? Yes, please! 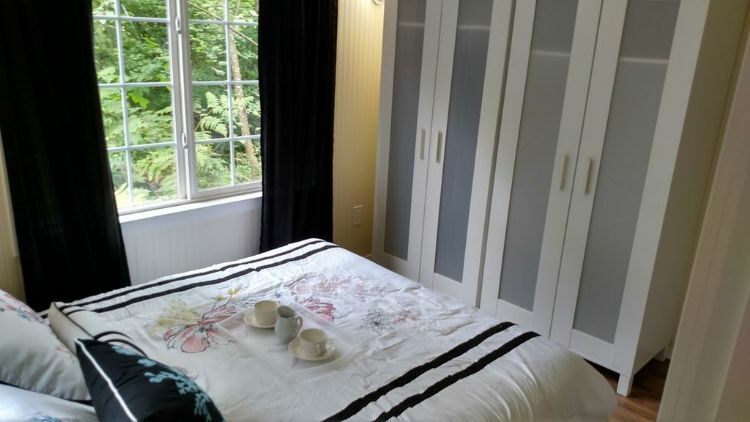 This model's serene bedroom has a breathtaking view of the woodlands just outside the window. Pair that with a twin set of wardrobes, and there's not much that can beat this room of the house, unless you count the loft. 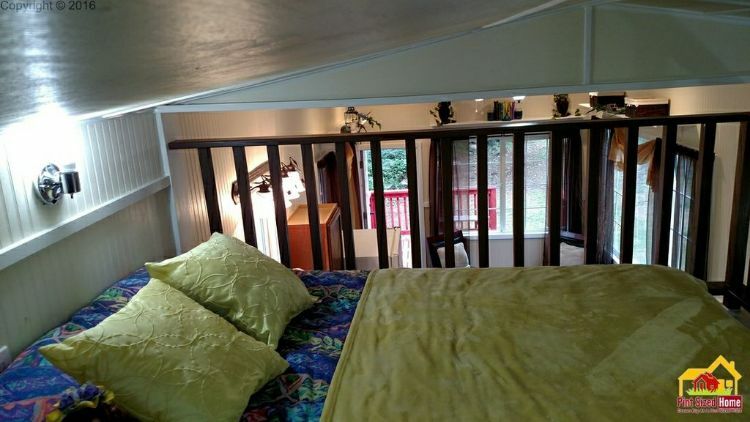 A spacious double loft makes all the difference when you're a small family. Sure, the master bedroom is big enough for two, but why have the kids sleep on the couch when they can have their own space up above? Share this spectacular park model with friends and family on Facebook and Twitter. Make sure to like our Park Model World Facebook page to see more great properties.